#OpenBook and Sabbath Rest Book Talk! Ugh. I know, I know. That post title is pathetic, but I’m running on fumes here. What kind of fumes? The kind that broke me enough to give in to… audiobooks. Audiobooks have been around longer than books, actually, because hello? Storytelling around the fire while digesting the freshly roasted mammoth meat? I can get to the end of the story so much faster in my head. Why would I wait around for someone else to read it for me? All my time available for audiobook listening, if I could get past that first issue, is spent in the car with kids, and you can’t listen to grown-up audiobooks if you have little pitchers and their big, giant ears in the backseat. Why did it never occur to me that it’s not just contemporary pulp on audiobook but literary classics as well? This was my very first audiobook, and since it wasn’t packaged as an audiobook, I was cleverly tricked into picking it up. I didn’t even see the CDs in the front and back of the gorgeously illustrated covers until we were in the car and headed for our next task. The Odyssey was one of my favorite reading assignments from college, and I was pretty sure there wasn’t anything completely untoward for both shifts of kid to hear (I’m more comfortable with kids learning of the horrors of war than the seduction of the flesh, frankly). I was not disappointed in this version: there’s nothing immodest, and the retelling of the tale does not skip over the violent parts (Polyphemus and Scylla aren’t tidied up, for instance). The narrators never use syrupy voices-for-the-kiddies. I loved hearing Second Shift cheer when Odysseus sent the arrow through the axe handles. All in all, I highly recommend this version. Everyone can listen to the story while those who aren’t driving and can’t even read yet can appreciate the gorgeous, stylized illustrations. Once we’d enjoyed that, I tried thinking back to literary classics I’d tried to get First Shift to read but which they’d eschewed because they prefer non-fiction so blastedly strongly. The first one that came to mind was Alice’s Adventures in Wonderland. I’ve struggled to get my older kids to read fiction, because their interests are limited, and they don’t see the point in fiction. Even if they never, ever enjoy fiction (sniffle! ), fiction-reading is still a part of learning how to be human–seeing how characters face conflict and deal with it, for good or ill. Then there’s the ability to follow along with literary allusions without getting lost. Both of those tasks can be conquered adequately (perhaps not well, but adequately) through audiobooks–force-fed to unwilling brains while on long car rides. Alice’s Adventures in Wonderland is one of those books that my kids just did not want to read but that we enjoyed listening to (maybe not as much as the next one, but more on that in a bit). Narrator Jim Dale handled the ridiculousness with the exact right amount of wryness but still kept it whimsical. I enjoyed this version immensely, moreso than I ever enjoyed the text version or any movie version (Sorry, Mr. Carroll). Lastly, a book I read only once in my college years: Anne of Green Gables by L. M. Montgomery. The story, as always, is wonderful: the tale of an unwanted orphan who finds family in the most unlikely pair of brother and sister Marilla and Matthew Cuthbert. The example of a flighty but well-meaning girl who gets into particularly feminine adventures, who in turn learns from each hilarious mistake she makes, is a precious example I really wanted to share with my three young ladies. Hearing the story now as a parent myself was that much more poignant than it had been when I was a childless college student, struggling to pass her own exams and such. I love how much of a family story this is, with appeal across the ages. Adding audiobooks to our homeschooling has already been such a boon. First Shift has phenomenal reading skills, but they shy away from personal stories; Second Shift loves fiction but struggles mightily with reading. Audiobooks have given us the opportunity to share literature with each other, discuss it, talk about conflict and description and language. I can’t believe I’ve let us miss out on this rich resource for so long. In the time I’ve had to read books rather than listen to them, I’ve started in on From Grief to GraceFrom Grief to Grace coming out next month by Jeannie Ewing. I’ve also read another Chime Travelers book by Lisa Hendey, but that one won’t be out until Christmas, so look for a review in, say, November. Do you have reluctant readers? How do you tackle their challenges? Do you use audiobooks? What are some of your favorites? 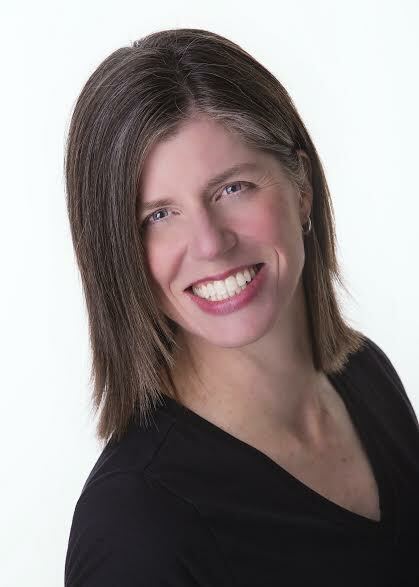 And don’t forget to link up with Carolyn! She’s a busy lady, though, and still blogging otherwise, so go on over there and pay her a visit, even if WWRW isn’t available today. She’s got some good stuff and some belly laughs. Worth your time. 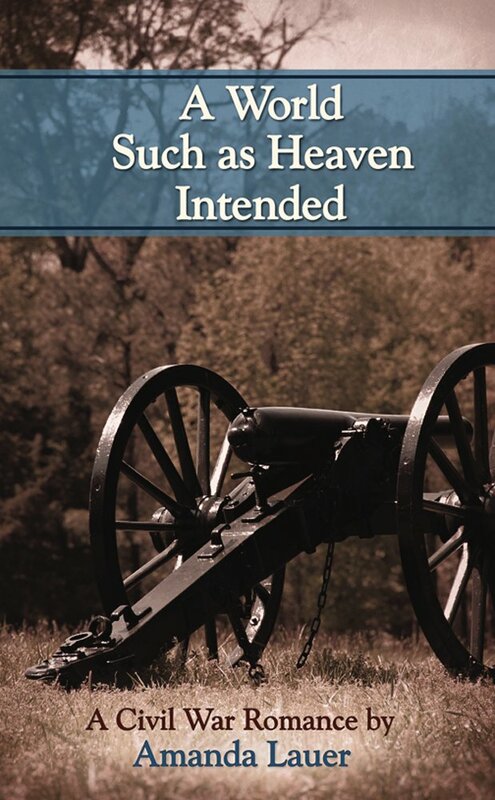 This is A World Such as Heaven Intended, the fabulous, charming, action-packed, engaging Civil War romance by new author Amanda Lauer and recently released by Full Quiver Publishing. The Civil War tore the United States apart and many friendships and families as well. In A World Such as Heaven Intended Amara McKirnan and Nathan Simmons share a devotion to their Catholic faith but their loyalties lie on opposite sides of the conflict. Dedicated to the Confederate cause, Amara offers to help out at her uncle’s makeshift hospital in Atlanta. Fate brought Nathan to their doorstep and into Amara’s life. Little does Amara know that the wounded soldier she cares for harbors a secret that will not only jeopardize his life but hers as well. Lauer brings us a well-developed setting, a neatly paced plot, and characters that live and breathe whom I couldn’t help but love. In fact, instead of an Atlanta debutante, our heroine Amara is, well, kind of a nerd… which I LOVE! The reality of the shared faith of these two characters is completely organic, never obvious. Their Catholicism is not flagrant but just a normal part of who they are and what makes them make the choices they must. The settings are detailed without being burdensome or boring. The action builds to a great pace. The ending is sweet and satisfying. All in all, I’m going to go ahead and call A World Such as Heaven Intended… heavenly! 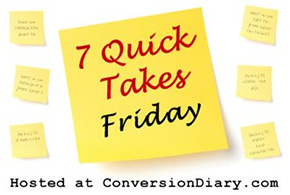 Go on over to Jennifer’s place for 7 Quick Takes Friday! Not this week but the previous, our family got a crazy-good deal on a beach house in the Outer Banks. It was vacation. An actual, real live vacation. I made the choice to leave the laptop at home and refill on reading. I had (well, still have) a large pile of review copies to go through, so I selected seven of these with the goal of finishing one book a day. Did I reach said goal? Read on, but if I did, it was in no small part thanks to these babies. As the years have gone by, I’ve developed motion sickness, especially when I read in the car. These “patchies” let me read in the car again for the first time in decades! Yay! Talk to your doctor to find out if these are right for you. Duh. I am no longer ashamed to admit that I cut my writing chops in the world of fanfiction. Jane_E is a little bit fanfic-y, if you think about it. Therefore, I will always have a soft spot in my cold, snarky heart for anything that could be called fanfic. In this first book of The Young Chesterton Chronicles, we have a young, skinny (I know, right?) Gil Chesterton, born into a completely foreign universe. I mean, literally foreign: he spent his childhood in Minnesota. We also have his new buddy Herb Wells and this quietly tough little priest… Really, Tripods is a rollicking wooden roller coaster through a number of different fictional universes. Hm. Take that roller coaster and turn it into a “dark ride,” and voila! Tripods. Think fanfic for the Catholic soul. 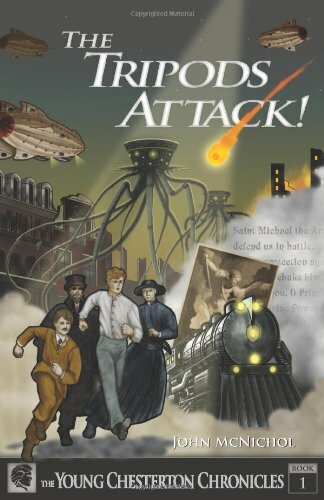 Some caveats: While I did enjoy The Difference Engine, I’m really not a fan of steampunk (#nerdshaming). I’m also a girl. While I spent a bit of my childhood (more than happily) playing the neighborhood Princess Leia, when things get violent, I do tend to watch through the slits between my fingers or just leave the room. Tripods brought me lots of punchcards, steam power, and there was a considerable body count. So, I admit, I may be more of a King’s Gambit sensibility. That being said, if you like stuff more on the goggles-and-airships, high-body-count side, and you want to see your Catholic faith held up as a good thing and not a hindrance, Tripods might be just the ticket. Also, if you have a young sci-fi reader who just can’t seem to stomach H. G. Wells straight from the, erm, well, or Chesterton straight from the, erm , chest? I can see Tripods piquing enough interest in the original work of both authors to turn the young reader on to same. I posted about this when I started reading it, but it wasn’t until the aforementioned beach trip that I had the actual chance to finish it. 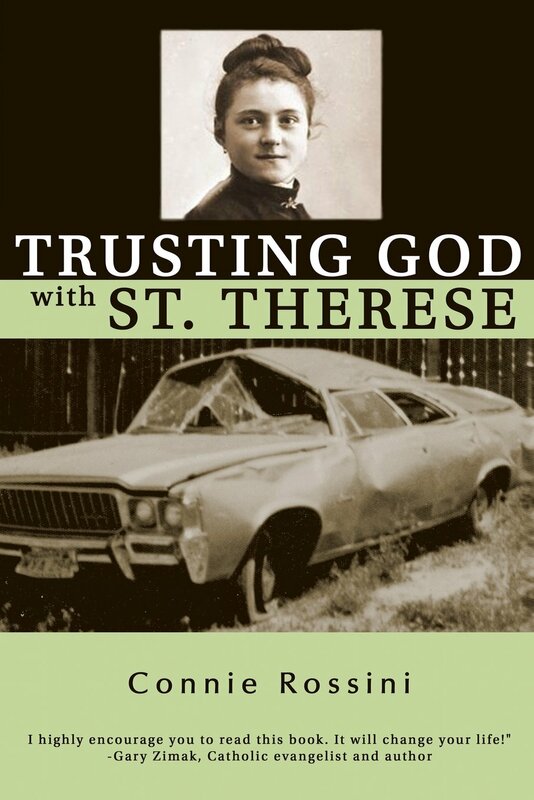 In Trusting God with St. Therese, Connie Rossini brings us the life of St. Therese chapter by chapter, retold with more clarity than, honestly, I found in Story of a Soul. [Will I get in trouble for saying that?] As if this clarity weren’t gift enough, Rossini distills for us the lessons in trust and holiness that Therese learned bit by painful bit, then gives us a reflection from Rossini’s own, more modern life to help the reader apply Therese’s own lessons. This last bit was done with great skill: so often I get the sense that spiritual memoirs are written to stroke the author’s ego and not to lead others deeper into the heart of Jesus. Trusting does not fall into this easy trap. The questions at the end of each chapter are great for either personal journaling or for group study. In the end, I’m glad Connie Rossini approached me with the offer of a review copy. I’m even happier I accepted. I don’t often review nonfiction, and this was a worthy exception. 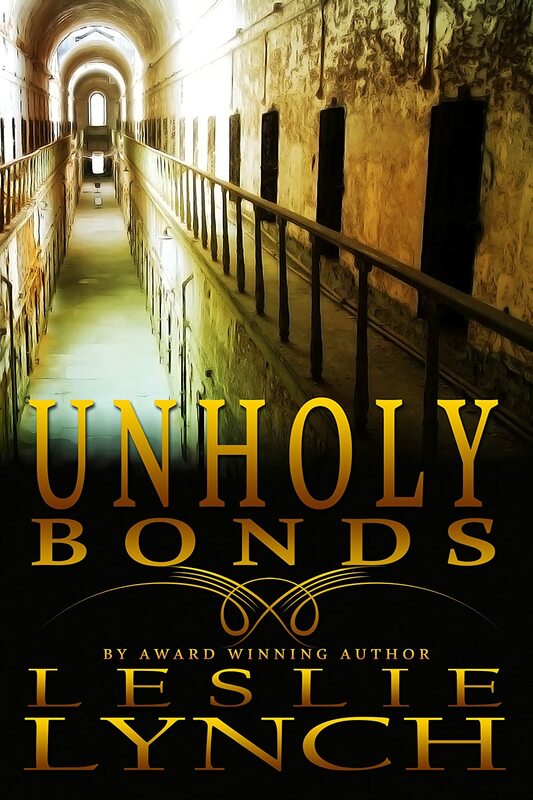 Unholy Bonds is the sequel to Hijacked, which I reviewed here. If you haven’t yet read Hijacked, I’m confident you can still follow along with Unholy Bonds, but still, go read Hijacked too, because it’s one of the strongest books I’ve read this year. Anyway, back to Unholy Bonds. We meet again with Ben & Lannis, now getting married and finding their way through their relationships and through their own hearts in the aftermath of crimes committed against them. We also get a chilling view into the heart of a criminal (I can’t say much without spoiling Hijacked) whom Ben & Lannis worked together to bring to justice. “Bring to justice” usually conjures images like the one you see on the cover of this book: row upon row of prison cells. However, in Unholy Bonds, Leslie Lynch gives us an illustration of the concept of restoratative justice, the goal of which is to bring dignity and hope back into the lives of not just the victim but the perpetrator as well. This sounds like such a, well, dangerous concept–trusting criminals to promote justice? Really? But because she does it in novel, Leslie Lynch breathes life into the concept, giving us a view into how much one person’s courage could, possibly, breathe courage and hope and honesty into another–into the last person you’d expect, really. This was shown powerfully, not just through the prisoner but through the growth and healing in the relationship between Ben and Lannis as well. I do want to say that Unholy Bonds does feature a small handful of scenes that are a little more explicit than I will choose to read these days. However, the overall illustration of hope and healing and justice is so very, very uplifting and strong throughout the rest of the novel. I encourage you, continue breaking through all the chapters of Unholy Bonds. You–and your view of humanity–will be better for it. 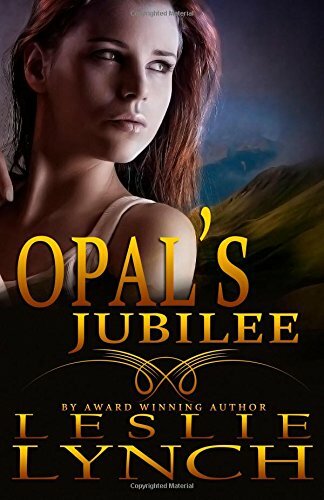 When I saw that Opal’s Jubilee was inspired by pardons granted to women incarcerated for defending themselves against domestic abuse, I found the rich opportunity for conflict irresistible and couldn’t wait to read it. I was not disappointed. Again we get another spot-on opening chapter from Leslie Lynch (she is good, people!) that pulls us right into the conflict: good cop doesn’t want released felon working for his sweet mom. From the opening sentences all the way through to “THE END,” all of the main characters gripped my heart and wouldn’t let go. Leslie Lynch’s sense of beauty in the broken, of hope in the darkness, and of justice through courage all carry through a sharp plot and a living setting to make for yet another powerful novel. You too will celebrate Opal’s Jubilee! 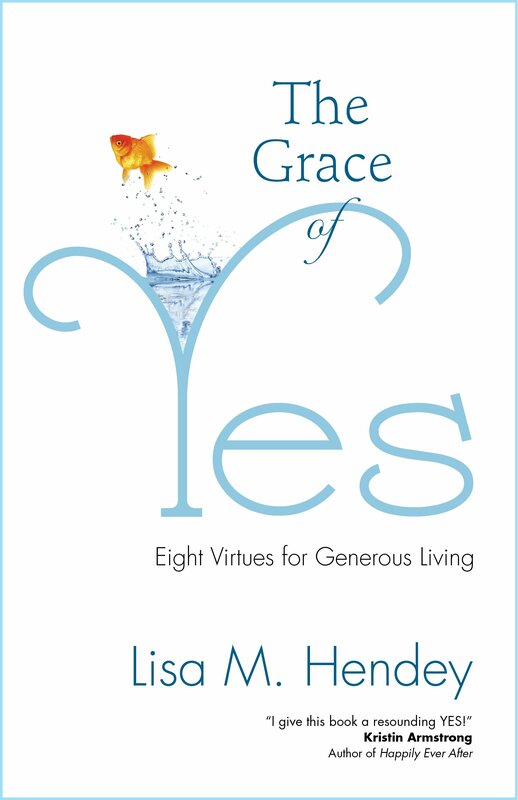 Okay, so I got a review copy of The Grace of Yes at the CMN Trade Show last month, but from what I understand we’re not supposed to start promoting it until closer to the November 3 release date. So this is me biting my tongue and not telling you anything. ANYTHING. (grittingteethsogreatyesIcriedandlaughedtooandfeelalotmorehopefulyetproperlyconvictedaboutmywobblypathtoChrist). Do you already know what Natural Family Planning is? Do you want to use it? Are you not quite always happy about using it? Do you wish NFP were easier on you? Then guess what–you’re normal! You’re also the target audience for this book. If you could really use some validation for your struggles to live your Catholic faith obediently as it’s actually taught, then The Sinner’s Guide is right up your alley. Not a page goes by that isn’t filled with honest, deliciously sardonic belly laughs (which, incidentally are my favorite kind of belly laughs). I say this as someone who is clearly outside the target audience for this book (I can’t relate to worrying about having an easy time getting pregnant, for starters). 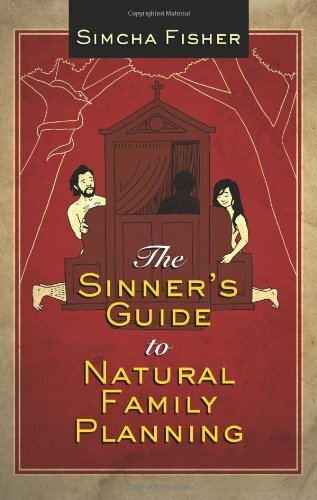 Still, if you’re a fan of Simcha’s blog, and you’re otherwise pretty normal, (horny husband, exhausted wife, ill-timed Peak-Type Mucus, and so on and so on), then I bet you’ll get a rip-roaring kick out of The Sinner’s Guide. Go buy it! And sometimes, you just don’t finish them all. I had seven books to read on my vacation. 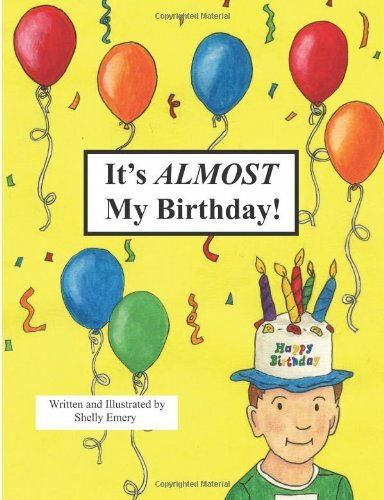 I started reading Book #7… and, honestly, it was written in a style that is really, really hard for my frazzled-Type A-mommy brain to manage. As a matter of personal conscience, I (generally) don’t give reviews that are less than 4-5 stars. First, I know it’s unpleasant to get a negative review, so there’s that. More importantly, I also see my own limits as a reader. I’m not the be-all, end-all authority on What Makes A Good Story. I do think I have a decent eye for structure, characterization, setting, blah blah blah. However, sometimes there’s just no accounting for taste–including mine. Including yours, dear reader. So, I encourage you, consider your own humility a moment before you press “post” on that “honest and constructive” review. Something to think about. YMMV. ASAP. LOL. Pronto. Texting and scones. Etc. 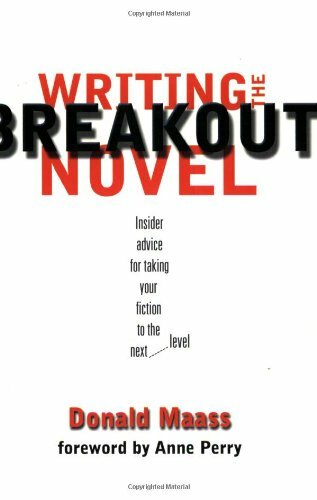 Writing the Breakout Novel delivers advice to the would-be novelist in a friendly format that is easy to understand, even when it delivers blows to the pride of the writer who can’t imagine why his/her work isn’t already of breakout quality. I especially appreciated the unassuming tone and the wide variety of references to narratively successful works. Some of the complaints Maas makes about the poor authors whose work he rejects could have been stated with better grace, perhaps. He also seems to imply that simply by writing with great skill there is no possible way your work could fail commercially. Putting those issues aside, which you can do easily as long as you love writing more than you love your ego, I’d call this a solid addition to one’s reference desk. “Today, though perhaps not in Shakespeare’s day, the resolution never to behave like Macbeth does not inevitably carry any clear implication of what to do instead.” John Gardner, On Moral Fiction, p. 107. Reading the first two chapters of On Moral Fiction filled me with such hope. After all, I had just finished with The Art of Fiction and found it to be self-congratulatory bombast. My hopes were not high on opening On Moral Fiction. But, soft! At last, here was serious writing on the purpose of art, on the high aims a writer can take to improve the world by offering his (almost always “his,” but what of that?) gifts through story. Here was genuine consideration of the idea that we might–GASP!–learn how to be more human through fiction, both reading and writing the stuff. I was ready to set aside my anger and look anew at Gardner on fiction. Alas, what followed after that was more of what was to be found in _The Art of Fiction_: pompous put-downs and inflated verbiage. As Gardner noted in the quote with which I opened this review, there’s value to be had in the excoriation of those artists who provide a list of “what not to do.” There is much more value however, in shining the light on examples of what TO do. Macbeth fell short of that. 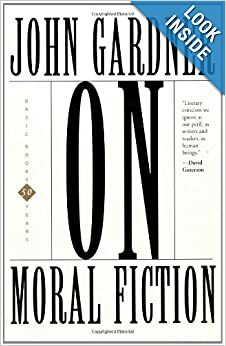 So does Gardner in On Moral Fiction.